Let’s face it, children love sugar; some, a little bit too much. From Halloween to Christmas and Easter, children can’t wait to get their hands on candy and sugary sweets. Aside from candy, the next best thing is a sugary drink. Besides Kool-Aid, Capri Sun, and Hi-C, soda is the number 1 favorite for kids. It comes in school lunches, kids-meal combos, and straight out of the refrigerators of less-than health-conscious parents. Many children have incredibly easy access to one of the most unhealthy drinks around and are too often allowed to drink soda. Sodas are entirely unhealthy because they have extremely high sugar content, sometimes have high amounts of caffeine, and are also dehydrating. All of these downsides of sodas can be incredibly damaging to a child who hopes to grow up healthy and strong. A child who drinks too much soda can experience highly adverse effects of jitteriness, sleeplessness, hyperactivity, increased blood pressure, much like an adult who drinks too much coffee. The worst risk to your children who drink too much soda, however, is the development of childhood diabetes and obesity, a far-too-quickly increasing epidemic. With all these health-risks of soda in mind, just how are you going to compromise with your child on what they drink? What healthy alternatives to soda are out there that your child will drink and enjoy? Though your child may pout when their lunch or home refrigerator doesn’t include soda, there are a variety of drink choices that your child will begin to enjoy. 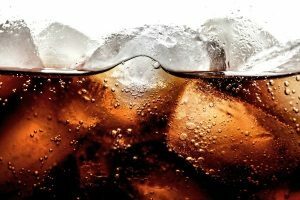 In this blog, you will find that there are 5 healthy alternatives to soda that you can offer your child. These have far less sugar than soda, and some have no sugar at all! If a child doesn’t get enough water, they will suffer dehydration and severe health issues. Many children, and most adults don’t drink enough water to begin with. Children who drink too much soda are not getting the hydration their body needs. Though water is the first ingredient of soda, soda-water is carbonated which, when combined with sugary syrup, can have a significant dehydrating effect on the body. It’s highly recommended by doctors that your child drinks 1.5 litres of water per day. Water is the healthiest drink you can give your child. Pack their lunch every day with a medium-sized water bottle. If you doubt they will drink regular water because it has “no taste”, then try infusing it with colorful zero sugar sweeteners that are far healthier than sweetened sodas. Also, low sugar or zero-sugar sports drinks are also a good option that kids will love. Juice is a good alternative to sodas because it contains no artificial sweeteners. The sugar in juice is a natural sugar called fructose, which gives fruits their sweet taste. Many sodas on the other hand, contain high-fructose corn syrup which is processed, artificial fructose that is a highly unhealthy type of sugar. Giving your kids juice with a healthier natural sugar is a much better alternative. 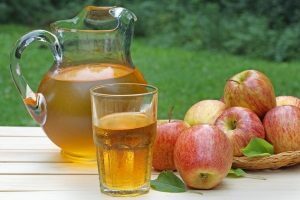 Juices like apple juice, orange juice, and grape juice are all perfect options. These juices contain natural vitamins and minerals and can be great-tasting, healthy alternatives to soda. However, too much juice equals too much sugar, so make sure to stick to 8-10 ounce bottles, because juice is still very high in sugar content. Smaller contents of juice can boost your child’s health and immune system, but make sure they drink juice more sparingly. Milk is another great drink among the healthy alternatives to soda. Milk is a great source of healthy fats and minerals that can help your children grow strong bones and muscles. Calcium and Vitamin A are two of the most beneficial minerals that milk provides. Though regular milk can be somewhat tasteless, a low-sugar chocolate, vanilla, or strawberry milk is a sweeter choice. There’s hardly a child that doesn’t enjoy flavored milk, and your kids are sure to drink it up without realizing it is just as sweet, but less sugary than soda. However, milk contains lactose, which lactose intolerant people cannot ingest without having adverse effects on their body. If your child is you are lactose intolerant, it is best to avoid milk from animals and just stick to soy milk or almond milk. Iced tea is another sweet alternative to sodas that is bursting with flavor. Unlike traditional hot teas, a lightly-sweetened iced tea provides a nice cool drink for the hot summer months. Drinking iced tea will give your child better hydration, offers healthy antioxidant qualities, and if lightly sweetened, will be a tasty alternative to soda. Lower-sugar iced teas don’t contain as much high fructose corn syrups as soda or added-sugar juices do. However, giving your child too much iced tea isn’t a good idea because tea does have moderate to high levels of caffeine and may cause health problems in the future. 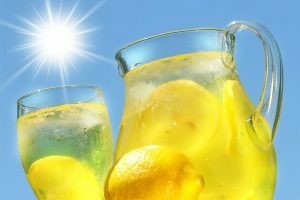 Lemonade, if made with real lemons, is a refreshing drink loaded with both natural or added Vitamin C, which can significantly boost your child’s immune system. Though the classic lemonade stand recipe for lemonade includes a lot of added sugar, there are plenty low-sugar alternatives that taste just as great. You can find great lemonade powder mixes or low-sugar lemonade iced teas that your child is sure to enjoy. Make sure that the lemonade you allow your child to drink isn’t highly carbonated as this can subtract from the benefits of one of the less-sugary and more healthy alternatives to soda.